The P0562 code is a generic trouble code, which means that it applies to all car models from around year -2000. It’s a common error code and we have used our automotive technicians to answer your questions about how to fix it the fastest and cheapest way. What does the P0562 code mean? The P0562 code is often stored in the engine control unit or transmission because of the first letter is starting with “P”, which means “Powertrain”. P0562 is stored when the engine control unit detects a low voltage in the electrical system. Normally modern cars are using a 12-volt system. When the engine is shut off, you normally should have 12 volts in the system and when the engine is running, the alternator should charge the car 13.5-14.3 volts. The P0562 code means that the engine control unit recognizes a voltage of under 10 volts for 1 minute when the engine is running in the electric system. Common causes are low charging from the alternator or a bad car battery. It can also be caused by bad wirings. Low voltage can give a lot of strange and different symptoms in your car. To write all those symptoms would take forever, so I will list the most common symptoms of the P0562 code. 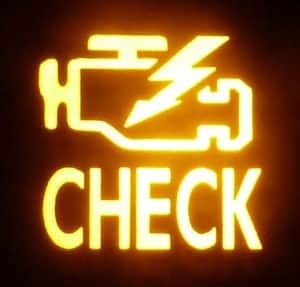 Sometimes there could be a problem with the power wire to the engine control unit, and you will not get any symptoms except a check engine light. The most common problem is that there is a charging problem or a battery problem when the P0562 occurs. The trouble code could also be set if there is a problem with the wirings to the power control unit. You should always start to check if the alternator charging is low when diagnosing this trouble code before replacing any parts. If you want to learn how to diagnose this trouble code, go further down in the article. This is how a skilled automotive technician would diagnose this trouble code. You may need some car electric skills and required tools to follow this guide without any problems. Warning: Beware of rotating parts when you are measuring parts when the engine is running. You should always start with connecting a car battery charger when you are doing troubleshooting to your car and while your OBD2 code scanner is connected. The OBD2 scanner requires Ignition ON and it will drain your battery fast without a charger. Connect your OBD2 scanner to verify the P0562 code. Check for any other trouble codes that could tell you a bit more about the low voltage problem. Go into live data parameters to find a column which you can see the voltage to the engine control unit. Disconnect the car battery charger and start your car to check the voltage parameter. If it drops down under 12 volts when the engine is running, you do most likely have a charging problem and you have to find the problem. If the voltage seems good, you can delete the trouble code and try the car to see if it disappears. Remember that the alternator charging problem can be an intermittent problem and your vehicle may die when driving if it does not charge properly. When you have seen in the scanner tool that the voltage is low. You have to check if it’s the whole car that gets this low voltage or only the engine control module. Let your car idle and do not have the car battery charger connected. Check the voltage on the battery between the positive and negative terminal when the car is running. Use a Digital multimeter. Measure between the battery positive and the body ground. You could also try to measure on the big B+ wire on the alternator to see if you can find any drop in the voltages. You should get a value of 13.2-14.6 volts when the engine is at idle. If you get under 13 volts your alternator is most likely not charging as it should. If you get a good value here and a bad with the OBD2 code scanner, you do most likely have a problem with the wirings to your engine control unit. Check for any blown fuses to the alternator or engine control unit. Make sure that all fuses are OK.
What you could do to test the ground wirings is to put a jumper cable between a good ground point on the engine and connect it to the negative terminal of the battery. Check your voltage if you get any different values when you connect it. Also, try to connect it to the body ground. If you get a better charging value with the jump wire connected, there might be a ground problem. An alternator does often have one big wire and 1-4 small wires. You can check that you get right voltage on the big wire, and to see if you get any different value on the battery. If you get 14 volts on the large b+ alternator wire and 12 volts on the battery, there might be a problem with the b+ wire or a blown fuse. To check the small wires, you have to get a wirings diagram for your car to make a proper measurement. To get a wiring diagram you could either search on the web or call your authorized dealer. There is often one 12volt power wire and one wire to the charging light on the dashboard, but it’s always best to make sure with a wiring diagram. What you could do is to check that you get power on at least one of the wire when the engine is running. If the voltage is low and you have checked all the wirings to the alternator, you can try to hit the alternator with a hammer to see if the voltage is going up. If the voltage go up when you hit it with a hammer, the coals in the alternator is most likely worn out. You can either replace the coals (If possible) or the best, replace the whole alternator. It could also be other problems in the alternator and if you have checked all the wirings in the list above, there is most likely a problem with the alternator. Read the trouble codes: FOXWELL NT301 Scan Tool. With this tool, you can check the alternator charging in live data. If you have any other questions about the P0562 code, comment down below and I will answer you as fast as possible. If you have any other car questions you are welcome to ask us at our homepage.